What a busy morning at the Barossa Farmers Market June 8th! 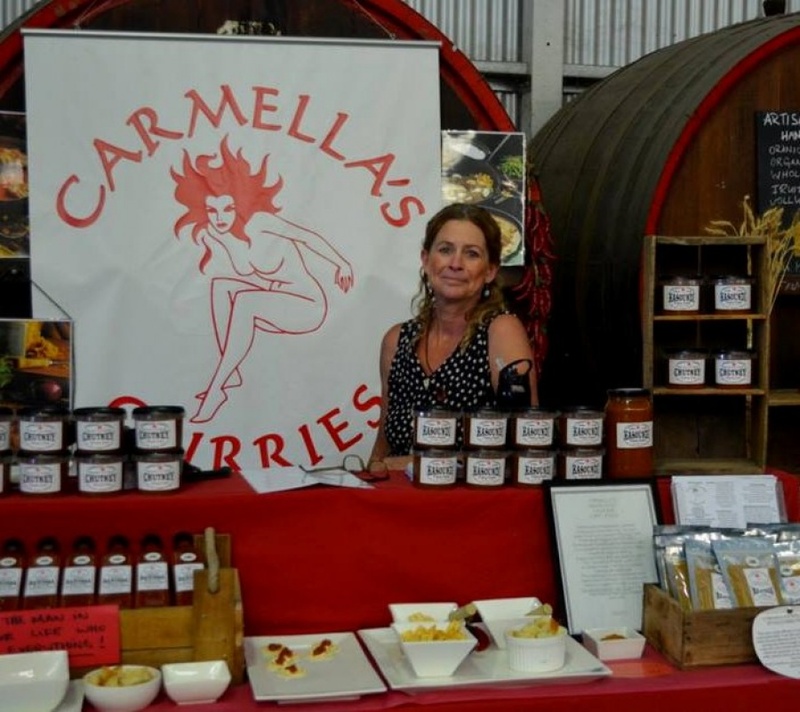 With a free sausage sizzle to launch my brand new ' Feisty' Barossa Sauce! People crowded around all morning to have a taste! It went perfectly with Schulz Butchers Pork Sausages...oh yes! And taste and like they did! Everyone said that it was a lovely sauce with just the right amount of spice to make it 'FEISTY'! Perfect for your next barbeque or on a hamburger or toasted sandwich or with eggs in the morning or on your steak at night. Also try a few swigs in your homemade or shop bought pasta sauce which will really add some depth of flavour. And try it as a Pizza Base...YUM! Anything you love sauce with is the go. So get some into you and feel a little bit 'FEISTY'!!! !